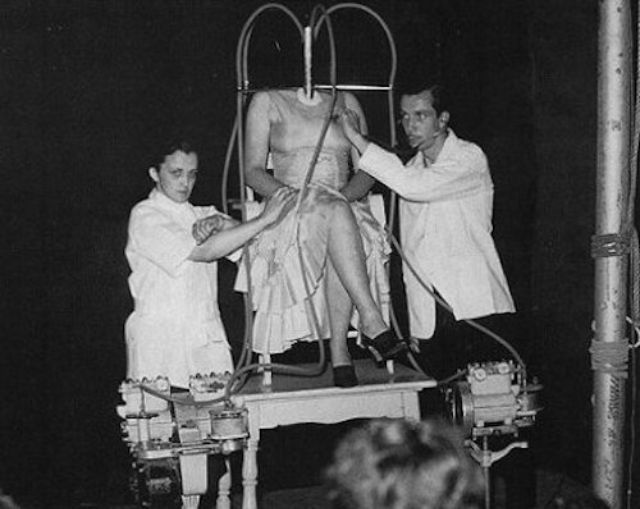 “Olga the Headless Girl” was first brought to the United States in 1937 from Hamburg, Germany, by a man who called himself as “Doctor” Heineman. It was also a featured exhibit at the New York World’s Fair of 1939. Olga became a very popular sideshow amusement during this time. 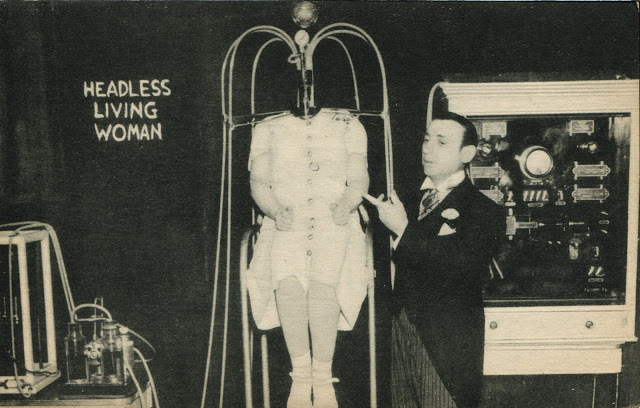 The Headless Lady illusion was actually a popular magic trick performed at sideshows in the 1940s. As the story goes, the poor woman lost her head in a horrible accident. 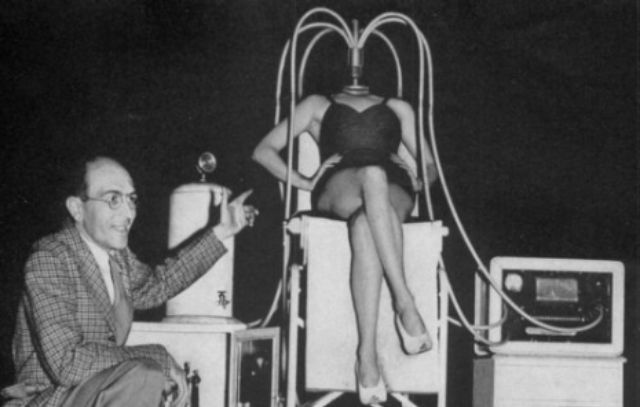 But doctors were able to keep her alive through the miracle of advanced scientific technology. “Doctor” Heineman staged “Olga, the Headless Girl” in Blackpool, England before bringing her to America. Its popularity in England at the time is substantiated by the fact that in 1938 there were at least nine Olga shows. Egon Heineman with “Olga the Headless Woman,” Blackpool, England late 1930s. A “Headless Woman” making an appearance at the Iowa State Fair. 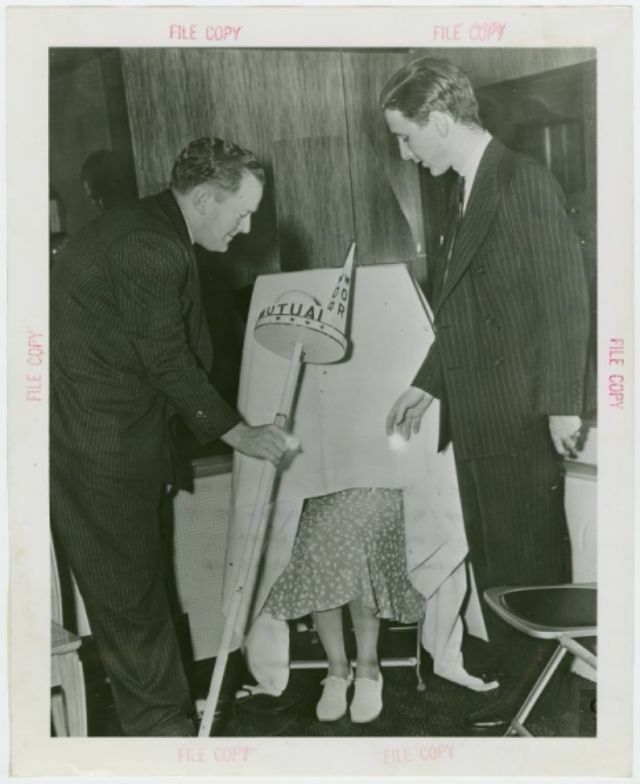 Novelist, editor, and magician, Clayton Rawson with a “Headless Woman” at the New York World’s Fair, 1939. Rawson authored a mystery novel ‘The Headless Lady’ in 1940. A “Headless Girl” giving a radio interview in New Jersey. 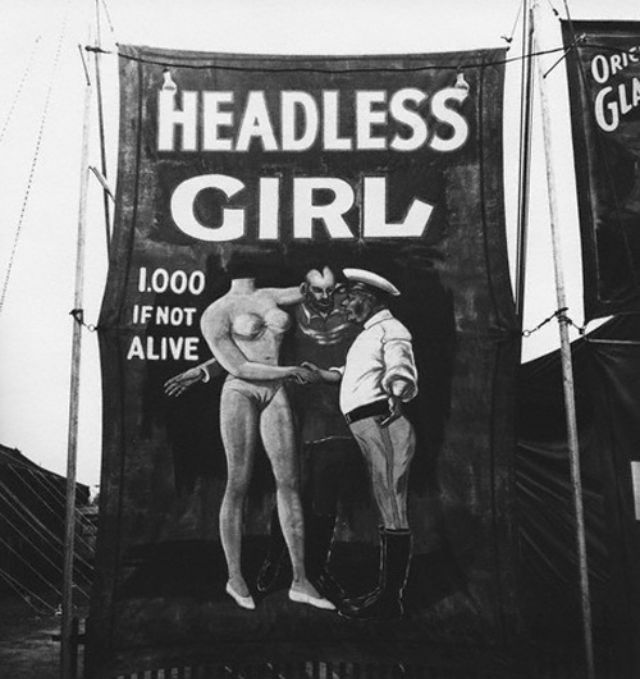 The “Headless Girl” routine was a rather terrifyingly realistic looking illusion, especially given the time period in which it came to be. 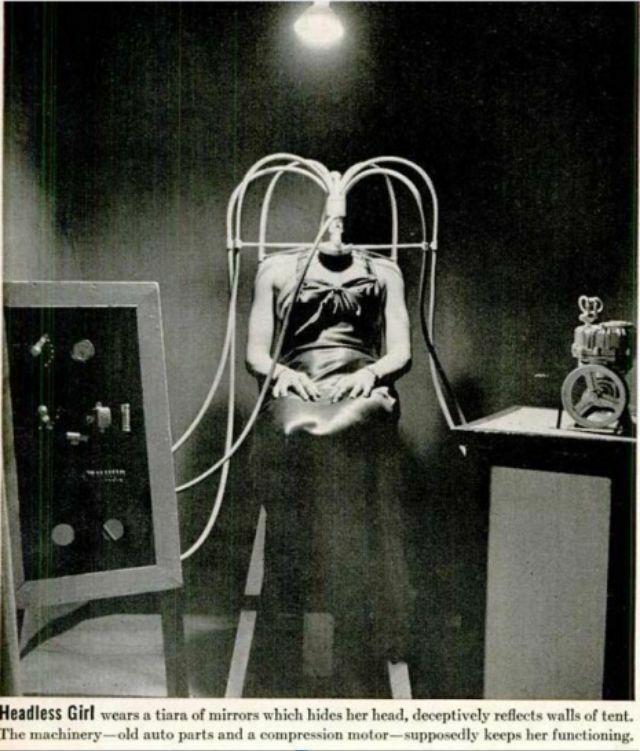 When Olga was displayed in a store window in London, shocked onlookers recoiled at the headless torso of a woman with tubes running from her throat to a contraption that supposedly controlled her food intake. 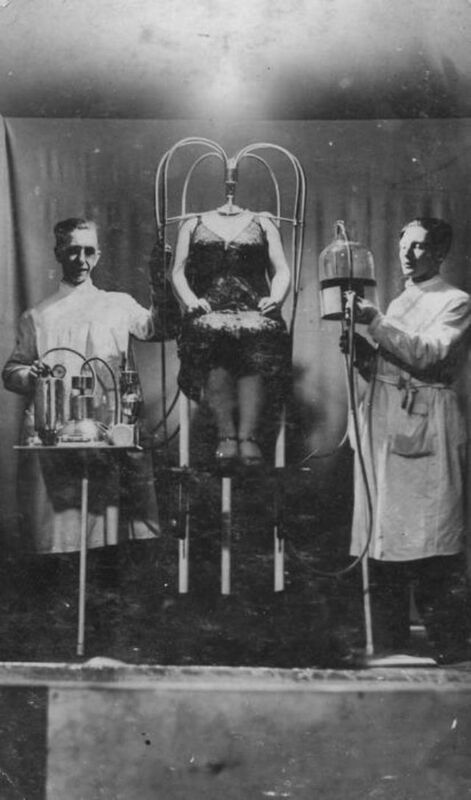 Olga would be copied by other illusionists who called her “Tina” and the classier sounding “Mademoiselle Yvette” who all claimed that the woman—despite not having a head—was being kept alive by the feeding tubes and unexplainable technology. As you will see in the photos, the headless girl act is optically baffling. 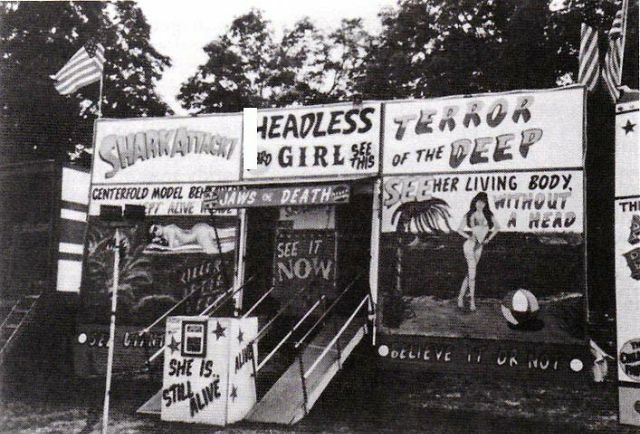 To help bolster the authenticity of the headless girl, many of the attractions would include backstory as to how the poor thing lost her head—such as a shark attack or an unfortunate showgirl who parted ways with her head thanks to a truck. 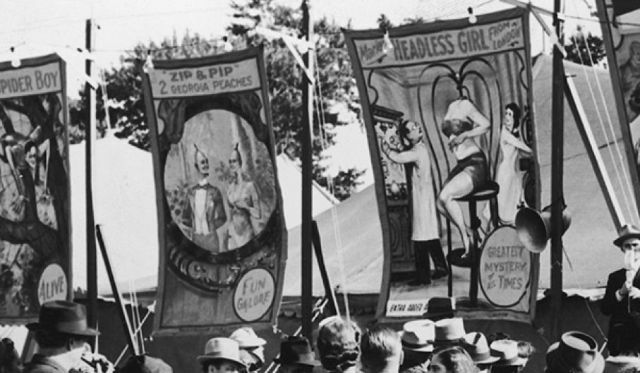 According to Sideshow World, the headless girl illusion continued to appear around the U.S. and the world through the 1980s and a version even made an appearance at Ozzfest in 2002.